Jon Geffen graduated from William Mitchell College of Law with honors in 1997. 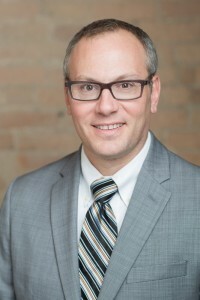 During law school, Jon worked as an investigator for the Minnesota Department of Human Rights investigating discrimination charges. After graduating, Jon accepted a position as a staff attorney at Southern Minnesota Regional Legal Services (“SMRLS”), the legal aid office in St. Paul. For nearly the next decade, Jon represented clients in matters including social security disability, unemployment, welfare rights, medical assistance, health licensing, and criminal expungements. While at SMRLS, Jon became an expert in the area of criminal expungements speaking before the state legislature with Keith Ellison, drafting laws and writing articles. After leaving SMRLS in 2006, Jon worked as an Assistant Attorney General for the State of Minnesota. At the Attorney General’s Office, Jon worked in the Department of Human Services and Charities Divisions. After three years working as an Assistant Attorney General, Jon partnered with Mark Arneson and began Arneson & Geffen, PLLC. You can contact Jon Geffen at jon@arnesongeffen.com or call him directly at (612) 465-8580.